How metal is your Gallery? 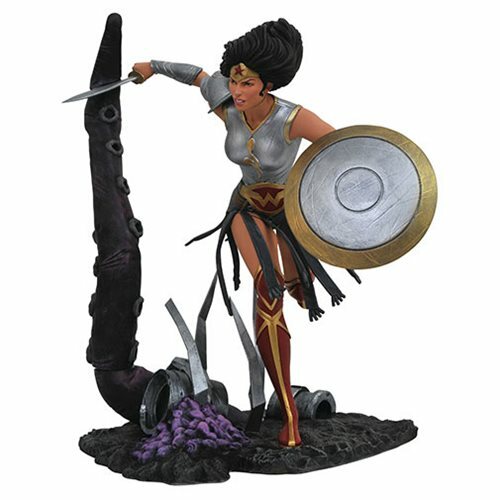 The world of Dark Knights: Metal expands with this DC Comic Gallery Dark Knights Metal Wonder Woman Statue. Wonder Woman is girded for battle with breastplate and shoulder armor, and has her sword and shield at the ready. Sprinting past a monstrous tentacle, this action-packed 9-inch scale PVC statue comes packaged in a full-color window box.